When a baby is born then the first thing that you try to find out is a good place for the baby to sleep. People are often confused about whether they should buy a crib or a bassinet for their babies. There are a number of benefits of choosing a mini crib mattress. If you are interested to sleep in the same room as your child then bassinets are definitely a very good choice for you. The bassinets are in most cases quite small as well as portable and so they are often considered to be an ideal option for sleeping. The bassinets are much lower and much nearer the ground as compared to the cribs. As a result feeding them and changing the diapers in the middle of the night will be much easier. If you travel frequently then bassinets are certainly the best alternative for you. It is not at all easy to carry cribs from one place to another. But moving bassinets are much easier. The weight of these bassinets are quite light and so if you are planning to sleep in some other place away from your home then bassinets can certainly be a good option. 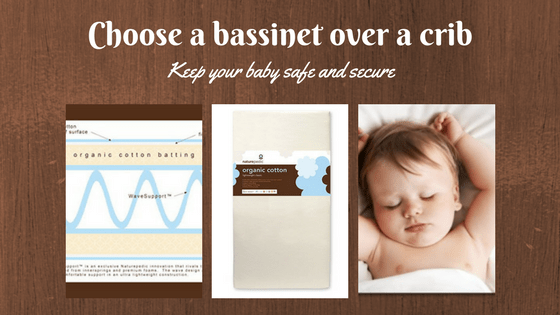 Bassinets allow you to sleep in the same room as your baby. As a result you can have a lot of peace because you do not have to worry at all about your child who is sleeping in another room. The bassinets cost much lesser than the crib. If you are looking to buy something at a lesser price then bassinets will certainly be a very good choice. If you had a C-section recently then you will have restrictions in lifting things up. As a result buying a bassinet is certainly a very good option. It is much nearer the ground and this makes it much easier for you to pick up your baby. Bassinets are definitely a better option than the crib. But once you buy the bassinet you have to be careful and ensure that your child does not outgrow the bassinet. You should know that these bassinets can be used only for a certain period of time. It is also vital for you to know about the weight limit of the bassinet that your child is using. Quality is another thing that you need to check when buying a bassinet. The bassinet is meant for your baby. So you should always try to buy a bassinet that is of an exceptionally good quality. It should also be a certified one so that your baby is kept quite safe as well as secured. You should also get a mattress that is thin, hard and also fits in your bassinets. 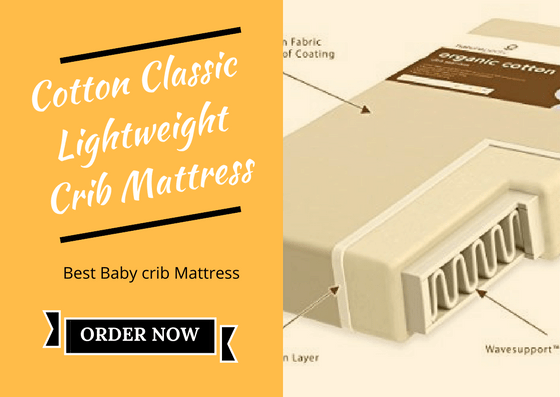 Naturepedic No Compromise Organic Cotton Classic Lightweight Crib Mattress is made in US.In this mattress certified organic cotton fabric is used.The wipe clean waterproof surface is allow to easier cleaning.